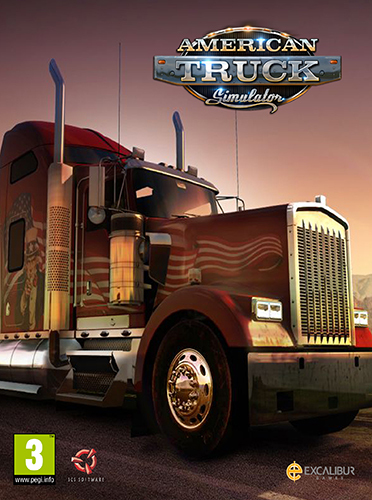 American Truck Simulator – continues a series of auto simulators Truck Simulator, transferring the action in the United States. The developers have prepared a selection of the most legendary tractor, which you can ride on a huge area with a large number of well-known places. The player will have to start his journey with the driver, gradually expanding its capabilities in order to eventually create the largest transport company in the United States. American Truck Simulator game mechanics is based on Euro Truck Simulator 2, complementing and expanding the elements that fans like. Also in the game is connected with the World of Trucks service, which makes it easy to communicate and share achievements with like-minded people around the world. Installation time ~ 5 min (depending on the computer). 2. Install, following the instructions of the installer. Play on the network is NOT! Only on the license. If you have installed the game, as described under the spoiler "Installation order:", but it still does not start, go along the path C: \ Users \ [username] \ Documents \ American Truck Simulator, find the game. Log or game.log.txt, open it and copy its contents to the theme under the spoiler! Update distribution!